Are you curious about biking of pist? At Fjälläventyr’s mountain bike course in Sälen you get the basic tools to safely and securely get you off the road by bike. We mix theory and practice and show you how to go around curves and over rocks and obstacles. We do it in small groups with experienced and inspiring instructors. The course is suitable for adults of all ages, as well as adolescents in the company of adults. The aim of the course is making you feel safe on the singletracks of Sälen on your own and you will also receive tips on exercises to do yourself. Feel free to bring your own bike, if you need equipment you can rent from us! Taking the skills one step further and learning more specifically how to reach the next level. After the on- course test, we deepen the techniques of taking curves at speed, brake and gear, uphill and downhill, and how to safely maneuver the bike over rocks and obstacles. We mix theory and practice, review the functions of the bike and how to take care of the material so that it always works properly. We do it in small groups with experienced and inspiring instructors. The aim of the course is to get the basic techniques of having fun while safely riding in terrain, both up and down and along technical forest paths. You will get inspiring tips on things you can practice to continue developing on your mountain bike. Feel free to bring your own bike, if you need equipment you can rent from us! If you prefer a privat lesson, please contact us on info@fjallaventyr.com. Born and raised in Sälen, from three generations of entrepreneurs in tourism and guiding. 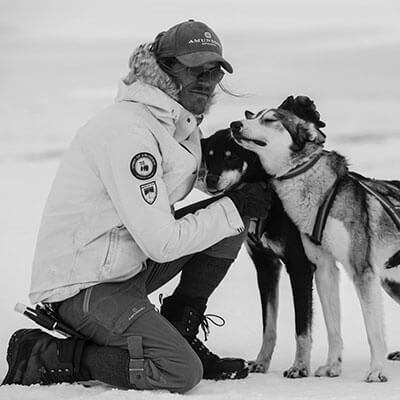 Started dogsledding at the age of eight and has been doing it ever since. 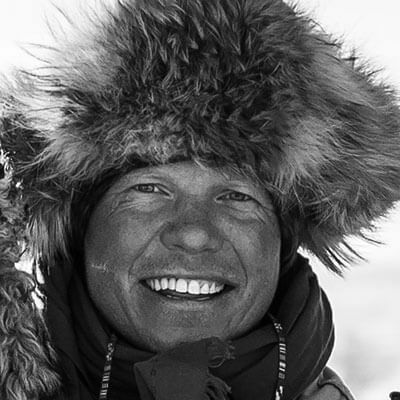 "What I love about Fjälläventyr is how it connects nature, animals and likeminded adventurers. Trying something new keeps us young... and bold!" 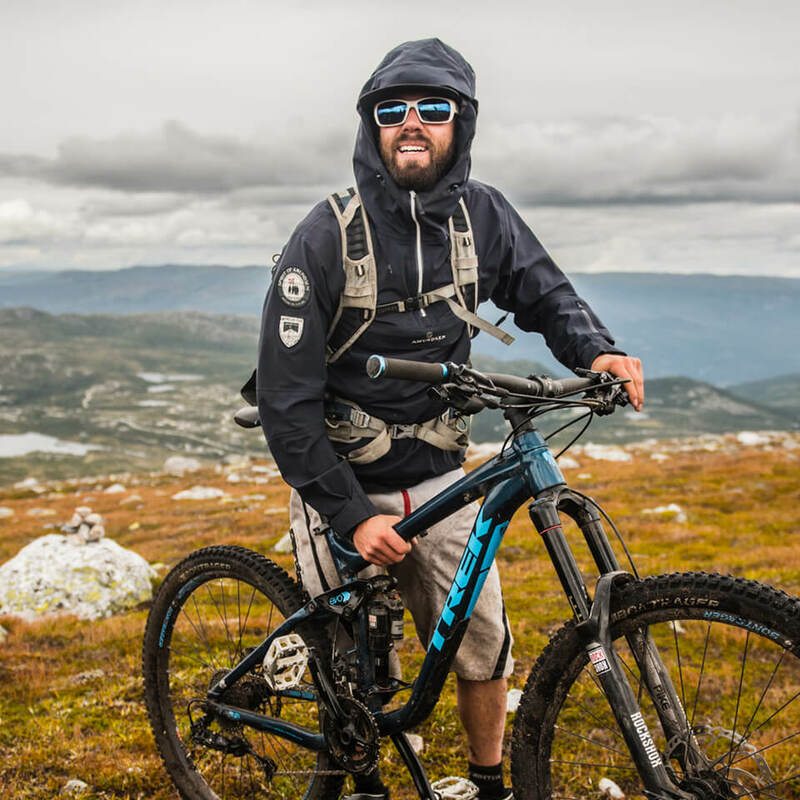 Passionate musher in the winter turns avid mountain biker in summer, Björn has been on bikes since he could walk. Loves the big climbs because they lead to epic descents. Riding your on bike and have your own gear is optional. You can rent a bike and protection from us. A warm sweater or rain jacket is practical to keep warm when we stop for breaks. Helmet is mandatory on all tours, thin gloves and knee pads are recommended. Weather change fast in the mountains and it’s important to be prepared. Dress with layers and avoid cotton closest to your body. A warm sweater or rain jacket is practical to keep warm when we stop for breaks. Helmet is mandatory on all tours, thin gloves and knee pads are recommended. For your feet – use sneakers with as flas sole as possible like Vans or Converse. We adapt the riding to the conditions but we normally don’t cancel. Mountain biking is done at your own risk, please look over your insurance cover before making the trip.